Home / Technology / Android / Run Multiple WhatsApp On Your Android Phone. There are occasions when one needs to have multiple accounts on the same phone such as when you have a dual SIM phone or when you tend to be the only one who owns a smartphone in your circle of friends or in the family as well. So, here’s how you can run multiple Whatsapp account in your android using the app OGwhatsapp, Go through the full post to know about it. Here is the trick to Run multiple WhatsApp accounts 2018 on same Android devices at same time. There are occasions when one needs to have multiple accounts on the same phone such as when you have a dual SIM phone or when you tend to be the only one who owns a smartphone in your circle of friends or in the family as well. There are many methods to run multiple WhatsApp accounts on your device. However, all these require Root access. As some people might have some concern regarding Root so, I suggest you should read our previous post about Rooting. In this method, you have to simply install an application OGWhatsApp which allows you to run two numbers continuously at one time. In WhatsApp, you can only use one number at one time. But, now OGWhatsApp is a new App where you can use two numbers of WhatsApp at one time. You can also say OGWhatsApp is an updated version of WhatsApp. This is developed by the person named As Osama Ghareeb. You Can change the Icon of the WhatsApp Messenger. You can use 2 numbers on one device. You can restore your backup and also save your backup. Step 1. 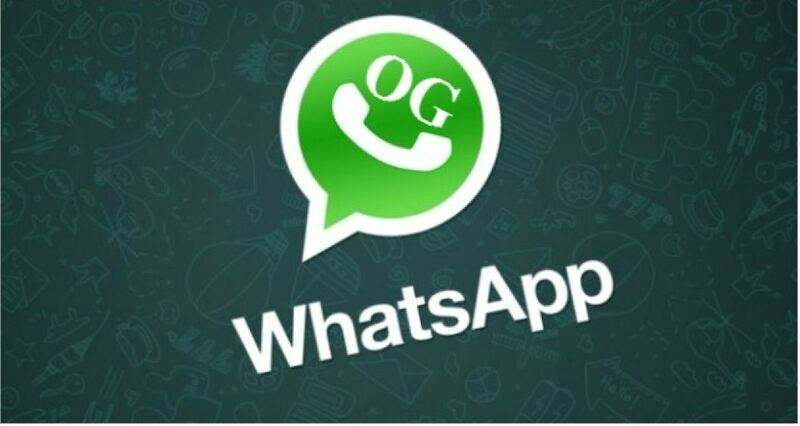 First of all Download the OGWhatsApp app in your android device. Step 2. 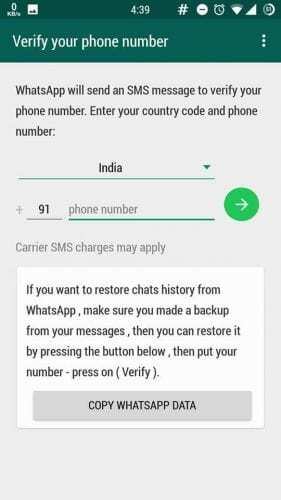 Now Create a backup of your WhatsApp chats and all other data that saved in the Whatsapp folder of your android. Step 3. Now clear WhatsApp data from the Settings-> Apps -> Whatsapp ->Uninstallyour official WhatsApp messenger. Step 4. Then Rename your WhatsApp folder in your SD card to OGWhatsApp. Step 5. 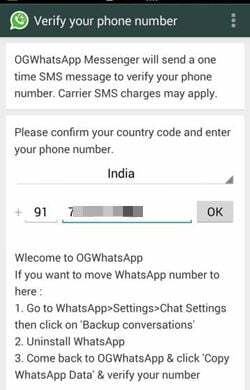 In OGWhatsApp verify your old number that you want to secondly use in your android and whereas in official version verify your another number. That’s it! you are done, now you have two Whatsapp on your android device that too with two different numbers that you will be using in a single device. Well, just like YoWhatsApp, GBWhatsApp is another best mod of official WhatsApp application which comes with some really great features. You can use GBWhatsApp Apk to hide last seen, online status, blue tick hiding and much more. Apart from these, GBWhatsApp is another standalone app which can be used to run WhatsApp account. So, you can run official WhatsApp and GBWhatsApp both at the same time. Step 1. First of all, download GBWhatsApp Apk on your Android smartphone. Make sure to remember the location where you have saved the file. Step 2. Once done, you need to enable the Unknown Source on your device. For that, you need to visit Settings > Security > Unknown Sources and enable it. Step 4. Now, wait for few seconds until the app installs on your smartphone. Once done, open the app and verify your number. That’s it, you are done! 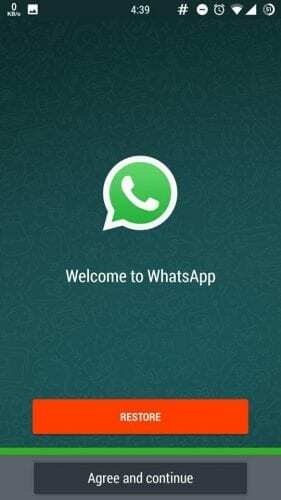 This is how you can download and install GBWhatsApp on your Android smartphone to run dual WhatsApp account. So above is all about How to Run Multiple WhatsApp On Android. 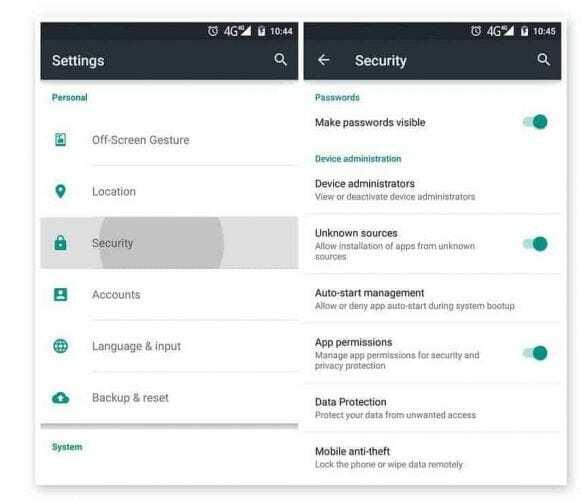 With this method, you will be having two WhatsApp accounts on your android device. So use this cool method and hope you like this, share with others too. Leave a comment below if you have any related queries with this.